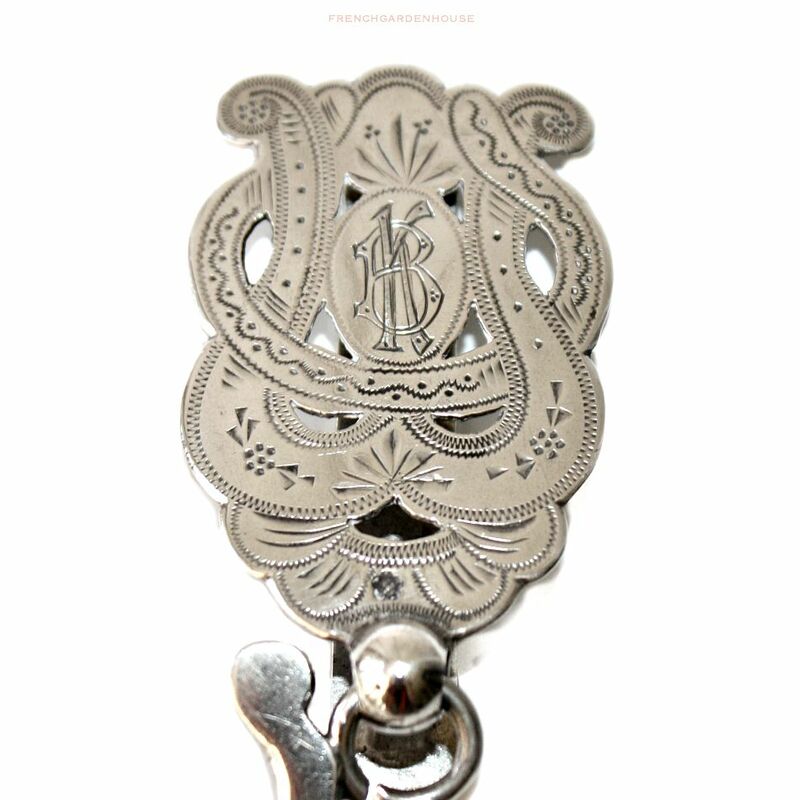 Gorgeous decorative Silver Chatelaine Clip, made by Peter Aitken, active from 1801 to 1844 in Scotland. 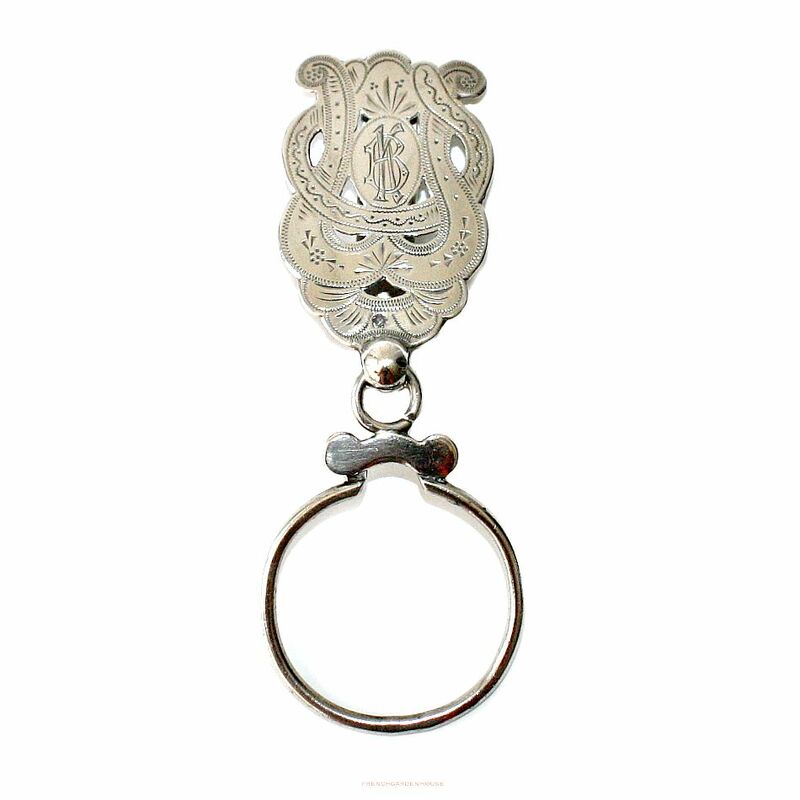 Worn by the lady of the house on her sash or belt via the large clip in the back, the ring opens to attach keys, vesta, case for reading glasses, an aide de memoir, sewing scissors, and all the other things needed in the day to day running of a grand estate. 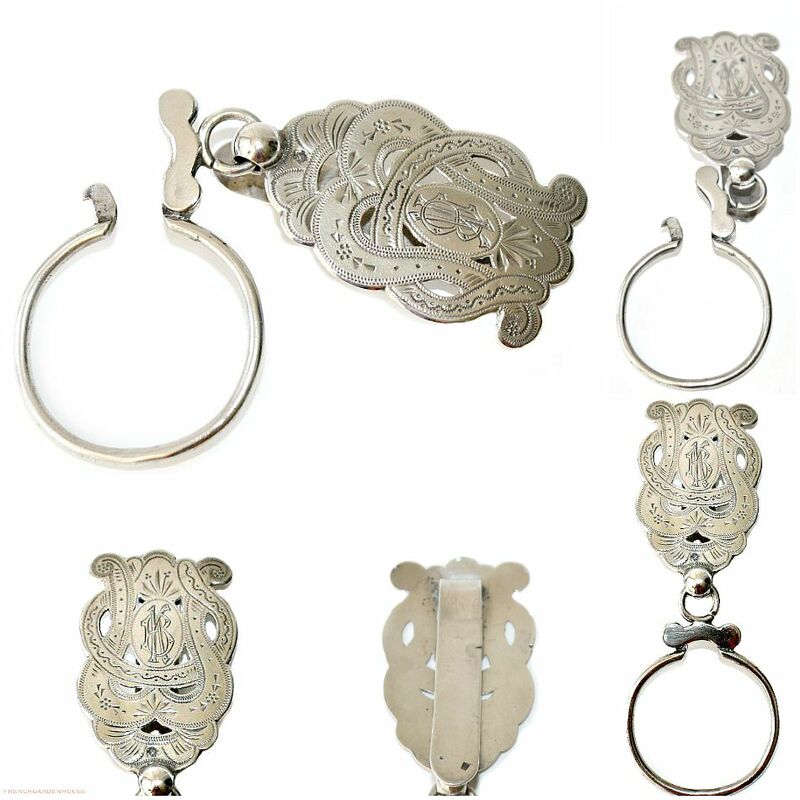 This clip is exceptional, with bright cut engraving, and a monogram with the initials B K.
Exquisite condition, and quite large, this is a fabulous addition to your collection of antique silver, and a sterling investment. Large clips like this are rare to find, this one is a true treat. 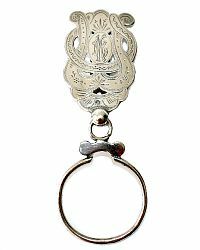 Measures 5~1/4" l x 1~1/2"w x 1~7/8" ring.